It’s tough to beat the combo of warm tortilla chips, melted cheese, and spicy black beans. In other words…NACHOS! 2. an increasingly popular exclamation used to denote an impending, much deserved reward; similar in use to Yes! or Right on! Already got these ingredients on hand? Here are the other Mexican recipes you can make. We’re building this delight using canned beans as that is easiest, but of course you are welcome to use 2 cups of homemade beans if you have some on hand. Roughly chop 1/2 an onion and peel 2 garlic cloves. 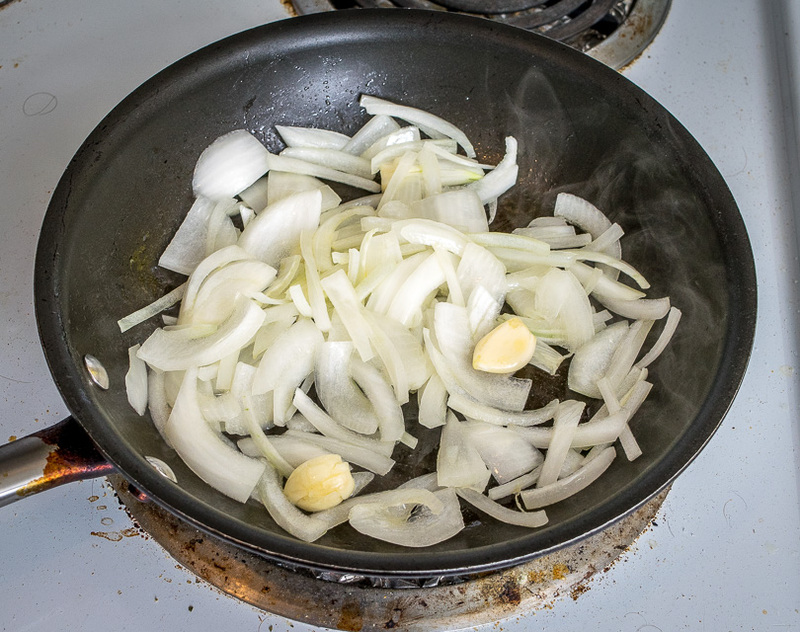 Saute in a dollop of oil over medium heat for 5-7 minutes. Simmer for 5-8 minutes and then combine ingredients in a blender or food processor. Take a taste for salt after combining. I added another pinch to this batch. 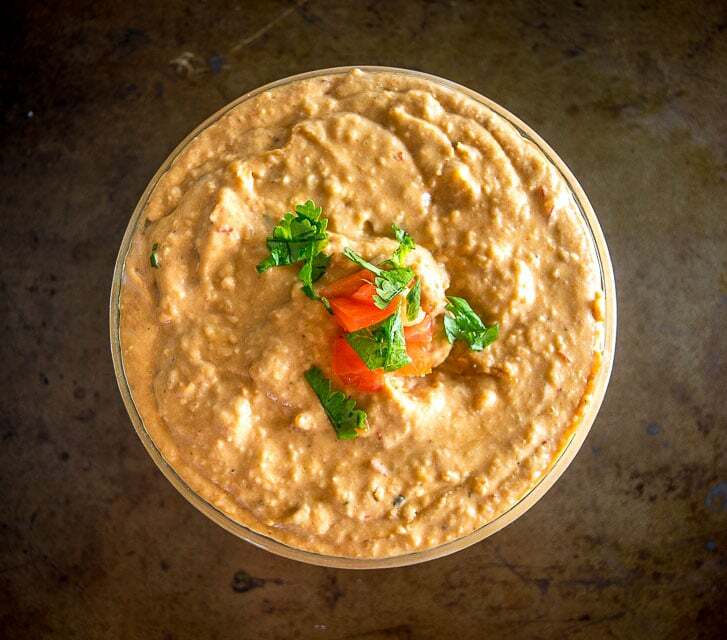 You’re left with a delicious bean puree that is capable of both drizzling and clinging at the same time. If for any reason your batch comes out too liquidy (to cling to chips) then you can saute it over mediumish heat for a few minutes and it will reduce to a thicker consistency. 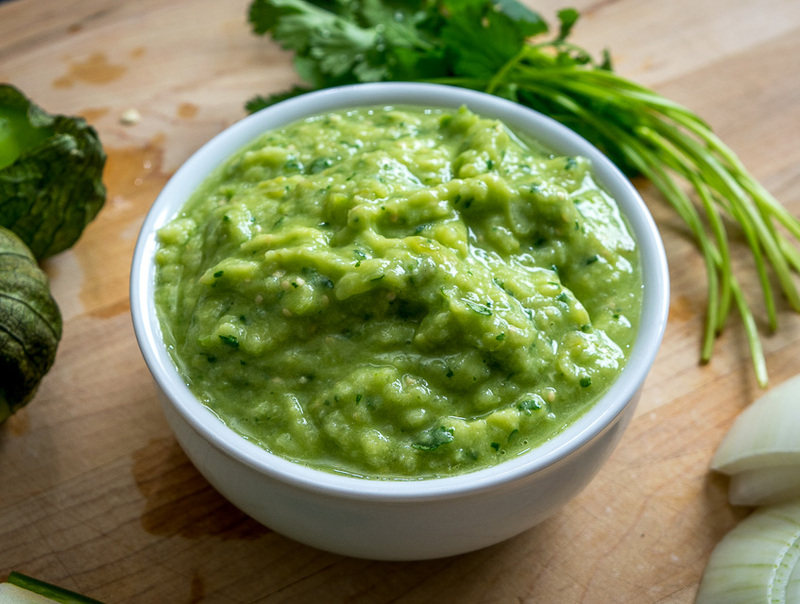 (We also use this puree in our Black Bean and Guacamole Tostadas). And note that using 2 chipotles in adobo creates real heat! I tend to make this bean mixture extra spicy knowing that it will be diluted down by the chips and fixings. Using only a single chipotle is a good option if you’re not a huge fan of spicy foods. 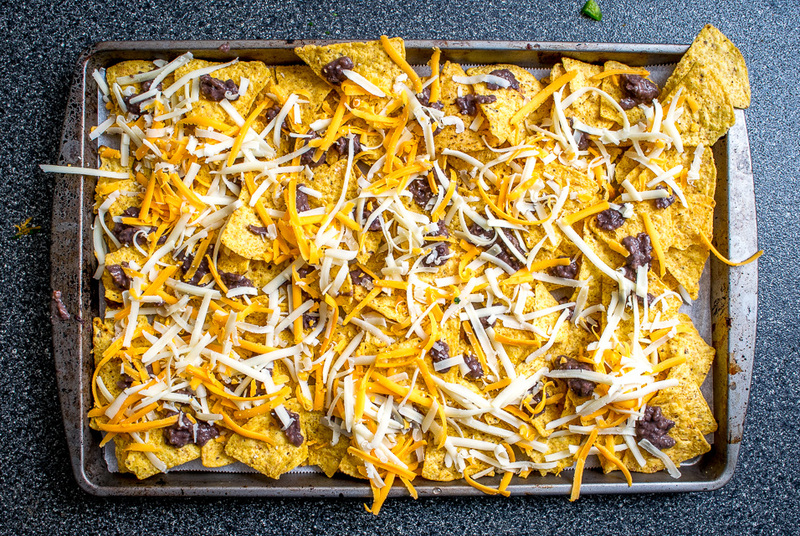 And now I’m going to make a suggestion that might send some of you nacho experts running for the hills…. I think these nachos taste best when they are done in moderation. I know, I know, nachos are an infrequent delight designed to be over the top goopy decadence, amirite?! 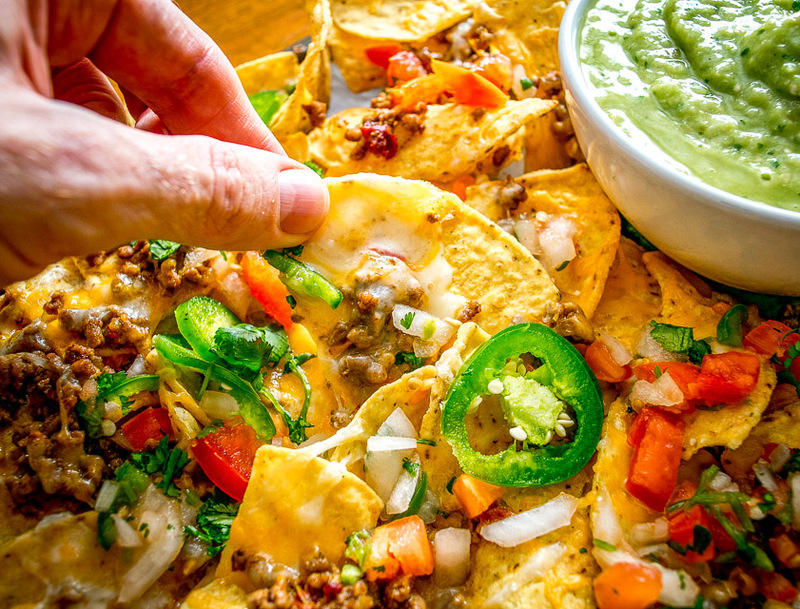 This version tries to have the best of both nacho worlds: some goopy decadence but also some restraint so that the beany cheesy flavors stay at the forefront. In other words, don’t dump everything in the kitchen on top of them. I’ve made double and triple layer batches of nachos before and they quickly turn into a soggy mess. 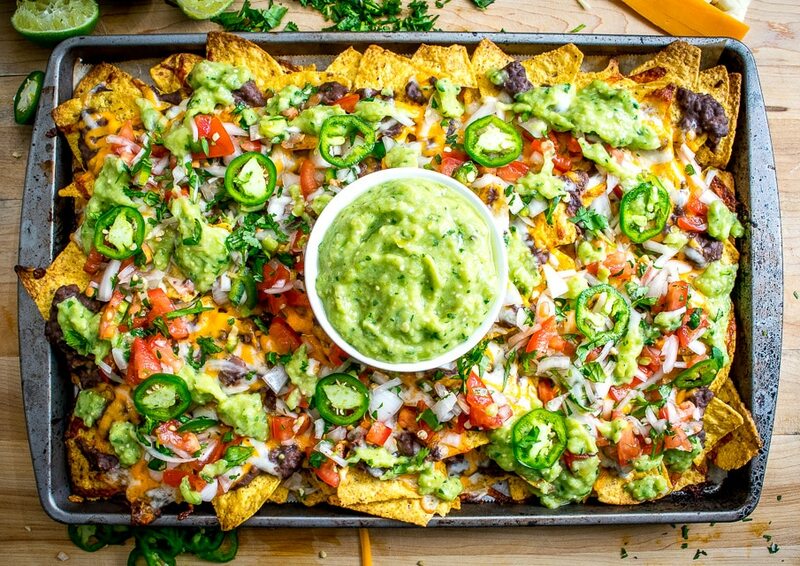 So while you’ll have enough quantity to make a double layer batch, this recipe far prefers a single layer of nachos, ensuring that you’ll always have chips in tact and they’ll be warm and crispy. Nachos! Start by creating a dense, single layer of chips on a sheetpan. Drizzle with some of the bean mixture and add a layer of cheese. I’m using a mix of Monterey Jack and Cheddar. And now give yourself a quick pat on the back as all the hard work is done. The combo of warm chips, melted cheese and spicy black beans is good enough to be eaten on its own and the rest is just a bonus that can be customized to your liking. 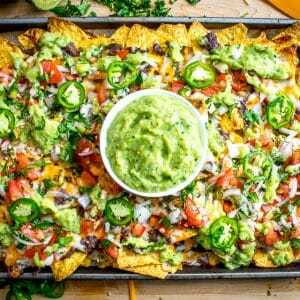 I think a fresh, cool Avocado Salsa Verde is the perfect complement to cheesy nachos so consider that a good option for these Spicy Black Bean Nachos. I’ll put instructions for the Avocado Salsa Verde in the recipe box below. Essentially, you are roasting some tomatillos and combining them with onion, garlic, cilantro, jalapeno, and avocado. You’re left with vibrant salsa that does wonders in this dish. Additional garnishes, all of them optional, include tomatoes, jalapeno slices, avocado bits, cilantro, and Cotija cheese. I combined a few of those options and made a quick double batch of our default Pico de Gallo recipe that you’ll find here. So this nachos version is topped with drizzled Avocado Salsa Verde, jalapeno slices, Pico de Gallo, and a sprinkling of cilantro. Keep the bowl of spicy black beans close by to give yourself the much deserved option of double dipping, i.e. dipping the warm cheesy chips into both the beans and the Avocado Salsa Verde. Because you deserve it. Tough to beat beany cheesy tortilla chips eh? Combine the bean mixture in a blender or food processor. Salt to taste (I added another pinch for this recipe). Shred 4-5 cups of Monterey Jack cheese. This is enough cheese for three single layer batches. Add a dense, single layer of chips to a sheet pan. (You can line the sheetpan with foil or parchment paper if you want to make cleanup easier). Drizzle some of the beans over the chips. Add a layer of cheese to the chips. Bake in the oven at 400F for 5-7 minutes or until all the cheese is melted. This batch was drizzled with Avocado Salsa Verde and topped with Pico de Gallo, chopped cilantro, and jalapeno slices. If you are making Avocado Salsa Verde, start by rinsing four fresh tomatillos. I usually cut out the stems too. Roast the tomatillos in the oven at 400F until cooked through and they start to turn army green. Add the roasted tomatillos to a blender along with ½ onion, 1 garlic clove, 10-12 sprigs cilantro, and ½ of a jalapeno pepper. 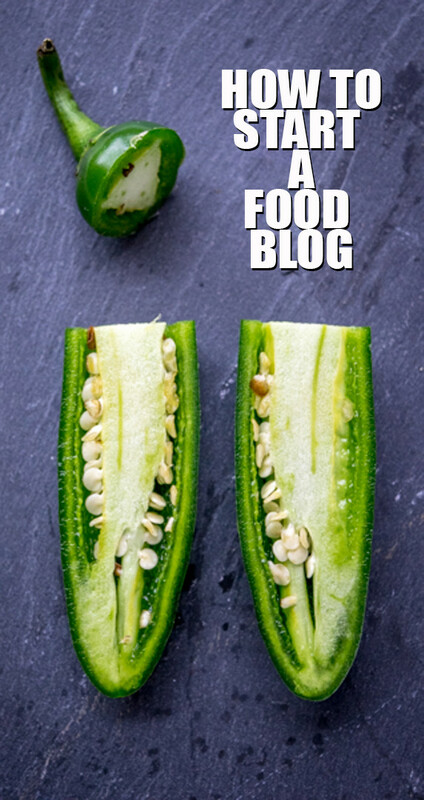 Pulse blend and taste for heat, adding the additional ½ of the jalapeno if you want more heat. Add the flesh of the avocado to the blender and combine well. Salt to taste. 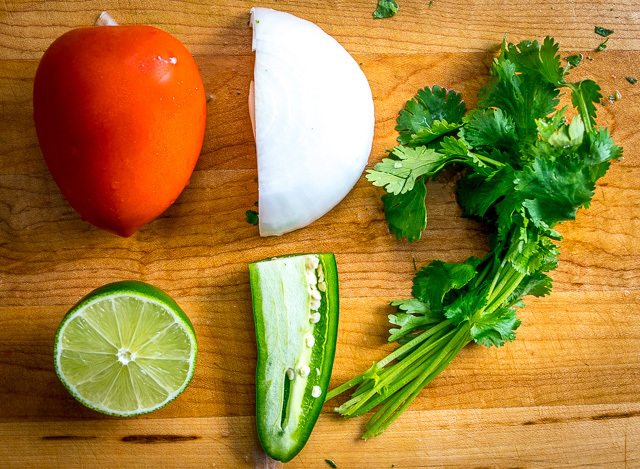 If you are making Pico de Gallo, start by finely chopping the tomato, 1/4 onion, and 1/2 jalapeno into ¼" sized chunks. Finely dice the cilantro. Combine the tomato, onion, jalapeno and cilantro in a mixing bowl. Add ¼ teaspoon salt and the juice of a ½ lime. Mix together well and taste for seasoning. Add additional salt and lime if necessary. Keep the beans close by so you have the option of dipping the chips in both the beans and the Avocado Salsa Verde. 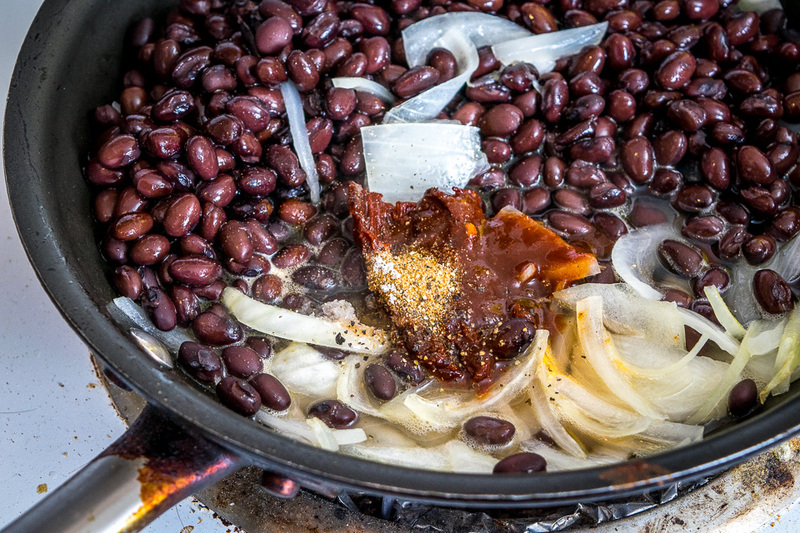 Using two chipotles in adobo gives the beans real kick. If you want a milder version you can use a single chipotle or even 1/2 of a chipotle. Note that some of the heat will get diluted once you combine the beans with all the fixings, so my version tastes extra spicy right out of the blender. Feel free to use cheddar cheese instead of Monterey Jack. Or both! You can substitute a serrano for the jalapeno in the Avocado Salsa Verde. You might also like our beef nachos. Holy delicious. I am seriously drooling over here and I haven’t even tasted these yet! Love every little thing about this recipe! 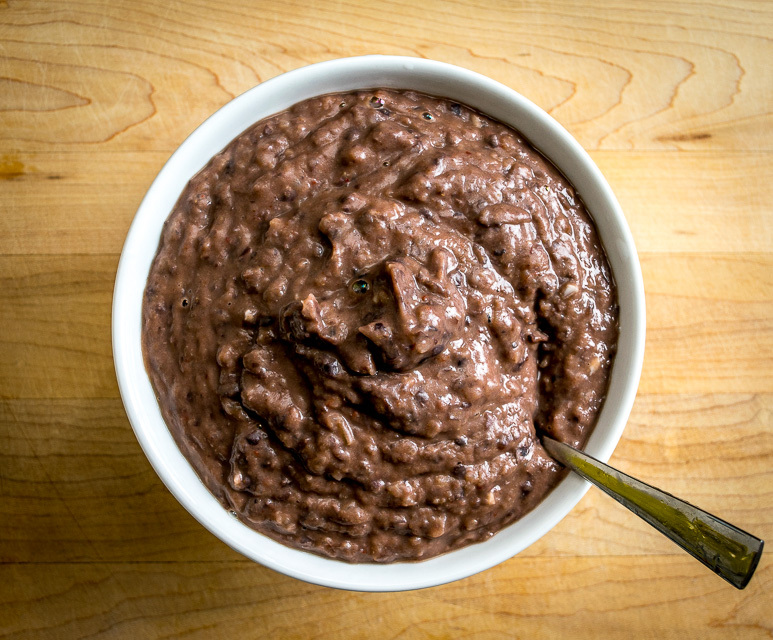 Can you freeze the black bean mixture if you don’t eat all of it? Holy face plant, Patrick! These are the best nachos I’ve seen in awhile!! Pinned and making. Ha awesome so great to think of you guys enjoying these nachos over in Australia 🙂 Thanks much for your note Elisha. These are the bomb. 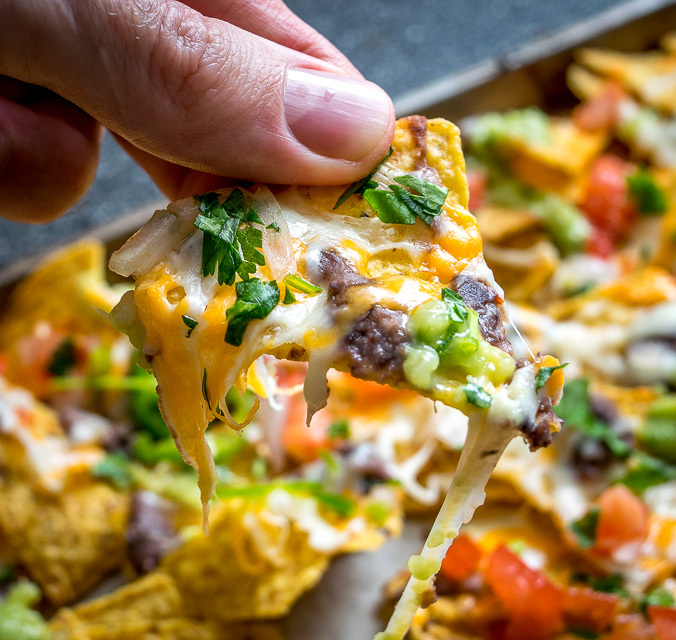 Fabulous recipe – definitely a favourite in our house and will be our signature Nachos from here forward. Thanks Lynda, so glad you found a keeper recipe on the site! I’m such a huge fan of that black bean puree. Thanks Resa! I love that Pico too — if you have leftovers you can use it to make some on-the-fly quesadillas if you want, just add cheese and Pico to half of a flour tortilla, fold it over onto itself, and then crisp it up in a dry skillet over mediumish heat.